Hello All! Yep it's almost time....Spring is right around the corner, and I absolutely love the bright, colorful fun of dying Easter Eggs! I've got a little bit of that spirit in this card I'm sharing with you today from our brand new Creative Cafe' KOTM! Center Panel: 5" by 3&3/4" piece of white cardstock with Faber Castell Gelatos background. To create background, choose 3 colors of Gelatos (I used Watermelon, Banana and Cotton Candy). Note: you can use a craft mat if you have one, but I personally like the look the crinkles in the waxed paper give! The next step is to simply lay your 5" by 3&3/4" piece of white cardstock right onto the wet Gelatos, and push down gently with your entire hand. Take a look....rotate and repeat where needed. Once you are happy with the look (it will be different every time you do this....part of the fun! ), you can either let this piece air dry, or for those impatient people (like ME) you can use a heat gun. 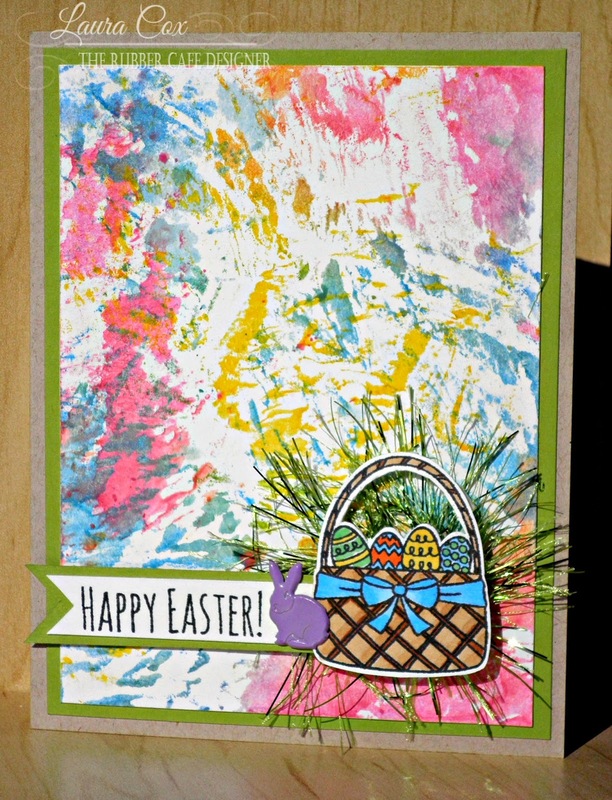 Stamping: Stamp Easter basket and sentiment on white cardstock using Memento Black Tuxedo ink. 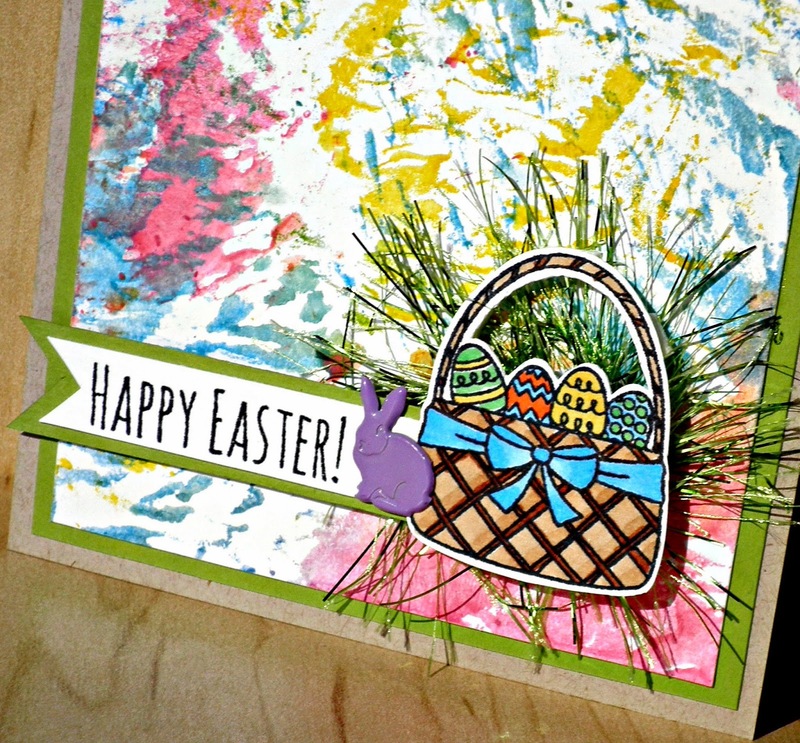 Color basket using markers, then fussy cut out. 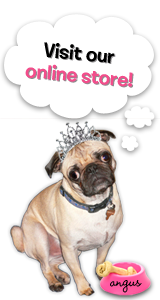 Trim sentiment down to banner then mat on green cardstock. A note here--leave about 1/4" on the right side to add bunny brad. Once the brad is in place, add a tiny bit of Scrap Happy Glue to the right edge, and glue to the basket--slipping the edge of the basket under the brad. Glue all layers together using Scrap Happy Glue, then glue about a 2&1/2" to 3" coil of green eyelash fiber to the bottom right of the card and use foam tape to attach basket and sentiment. Thanks for stoppin' by the cafe' today.....are you ready for spring? If not, you sure will be with this fun kit! Stop back soon for more inspiration!